Women on a mission to get wild in the Mile High, here’s your all-in-one guide to have the best girls night out ever. What more perfect way is there to bond with your besties and break up the routine than to get rowdy with your girls? There’s plenty of fun to be had on your gal pal getaway in Denver. Enjoying the city’s sights with your favorite female counterparts is way more fun than just bar-hopping and discussing your latest online dating mishaps. These days, instead of hitting the same old happy hour, try out a few things from our list for everything you could want for an unforgettable girls night out. Whether it’s the next bachelorette party you’re planning or just a last-minute girls’ getaway, this list has the best female-friendly offerings you’ll find in the Mile High City. As you peruse your way through where to go with the girls in Denver, don’t forget to make sure you prepare for the evening. You’ll need some stylish duds, a little pampering, plenty of cocktails, some rousing entertainment, and definitely some good drunk food. If you’re looking to concoct the best girls night out you could imagine, look no further. Denver has everything you and your lady wolf pack need. While Denver may be known for its breathtaking Rocky Mountains, the city itself has grown into a world-class metropolis, full of fashion, music, art, and fun. The urban charm of the city is so strong that you might even forget you’re in the Wild West. Make sure you look your best by checking out a couple of the most stylish Denver neighborhoods like Cherry Creek, LoDo, and South Broadway. There are tons of amazing restaurants and eateries, and it seems like a cool new bar opens up every weekend. Never a dull moment in Denver, so come prepared with a few to-do list items to make the most of your Mile High girls night out. Loosen up for the evening with some arcade games and skeeball. You will want to check out the infamous 1-Up Arcade and Bar in both LoDo and on East Colfax for some drinks, drinking games, and giant jenga. 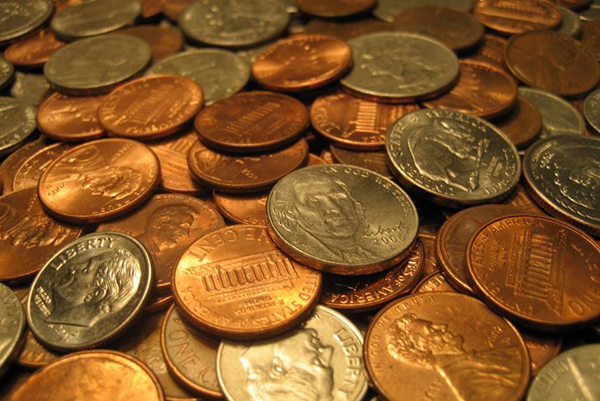 Both locations are convenient to the bustling downtown nightlife and are a fun way to kick off the evening. If you’re looking for something a little more group-oriented, check out the Lucky Strike Denver and For the Win on 16th St. Mall. This combination arcade, bowling alley, bar, and restaurant is great for groups big and small, and you can even reserve your lanes ahead of time online. This graffiti walking tour will show you a side of Denver’s RiNo Art District you may not have seen before. 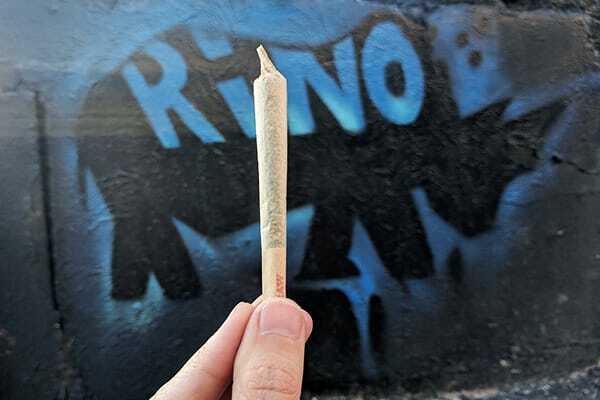 Check out a local dispensary and 420 lounge, and then follow your graffiti guide through these art-filled streets. You’ll get an insider’s perspective on this trendy neighborhood and end up with an elevated insight into the local artists. Hey, if nothing else, at least you’ll have some cool pics for your Instagram. What says best friend bonding better than crafts and booze? Upstairs Circus offers a unique take on this type of crafty girls night, with a chic circus twist. 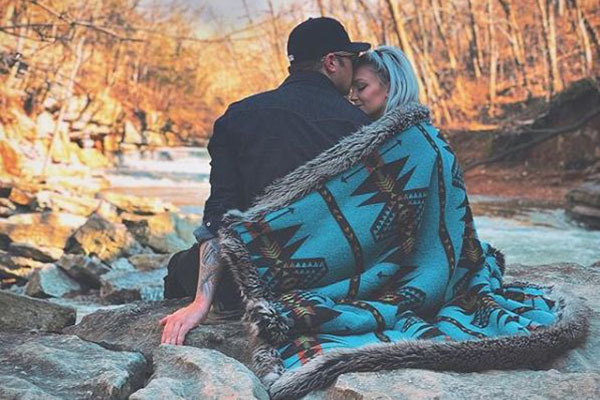 They make it easy for you and your girlfriends to concoct some on-point crafts and get a little tipsy too, but make sure to make a reservation. 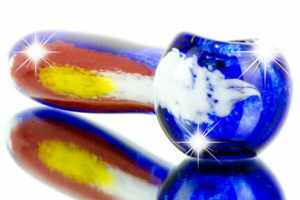 For the trendsetters, looking for something a little different? Start by exploring local designs and elegant flair in the high-end shops of the historic Larimer Square. With its unique collection of boutiques among the elaborate downtown architecture, the very first city block of Denver has transformed into an epicenter of fashion and is a prime area for window-shopping. You’re sure to find something effortlessly chic at shops like Eve or Hailee Grace. Try on funky hats while you take selfies at Goorin Bros, then go shoe-crazy at Scarpaletto with their standalone styles, and Cry Baby Ranch has every adorable pair of funky western boots that you could imagine. There are lots of options in this area for shopping, and the nightlife on Larimer Street is some of the best in the city. For the fashionistas, bring the gals to the heart of the Cherry Creek North shopping district. 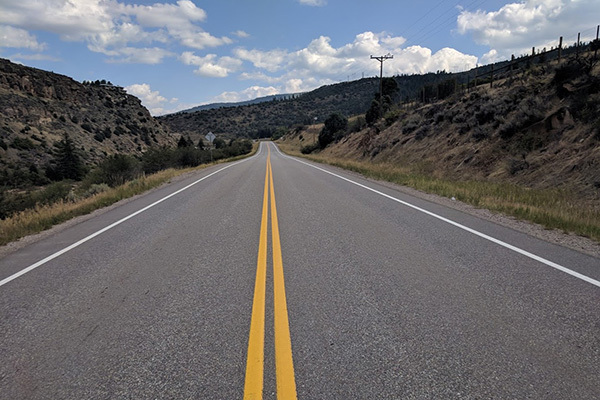 This pedestrian-friendly neighborhood has much to offer and is home to the expansive Cherry Creek Shopping Center, which by itself has over 160 stores to choose from. Blocks upon blocks of brand-name retail therapy will keep you busy for a few hours or even a full a day, so come prepared and wear some comfortable walking shoes and don’t forget the Fitbit! Shopping is a great way to get your steps in. For the vintage-loving vixens, the South Broadway neighborhood is full one-of-a-kind options for those craving something exclusive. The SoBo neighborhood, as it’s also known, is speckled with gems like the hipster-centric Buffalo Exchange and the retro magic of Decade. A little further south on Broadway is the infamous Regal Vintage which is well known as one of the best resale, vintage, and thrift shops in the city. 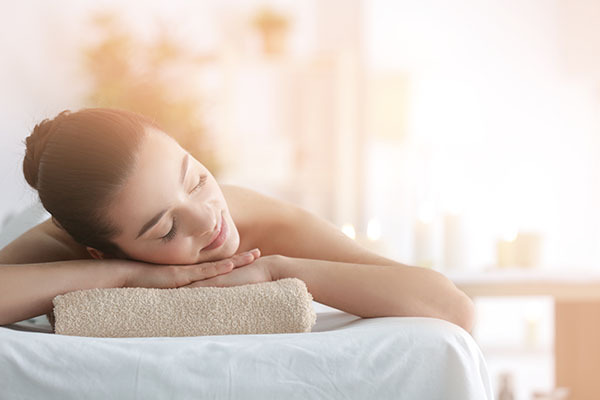 Whether it’s loosening up a soon-to-be-bride on her bachelorette weekend or a cross-generational mother-daughter getaway, the best way to relax before a night out is with a little pampering. Check into a salon or spa for some self-care to take the edge off of an intense week or a stressed-out bride-to-be. The following spots are highly recommended for you and the gals to primp, pamper, and unwind. Here’s a Mile High idea: treat yourselves with a luxurious cannabis-infused massage. What better way to relax those achy muscles after a full day of shopping or traveling? Incorporating a little weed into your TLC is amazing for localized relief. 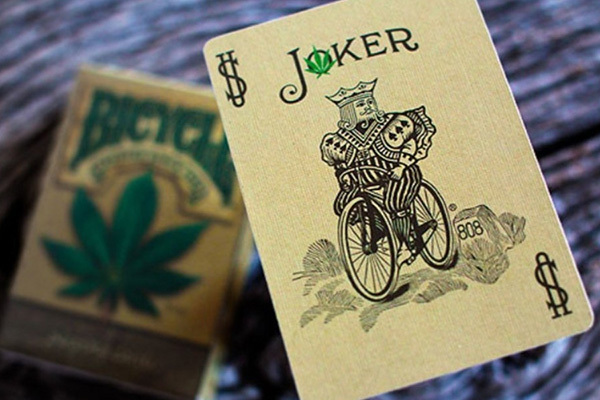 Don’t worry, topical cannabis is non-psychoactive so it won’t leave you high as a kite and unable to make it through the evening. Pedicures and Pinot are what’s good at this adorable nail salon near downtown. Named Top of the Town, Denver’s City Nail Bar has an array of decadent nail services that will leave you feeling indulgent and your nails will have never looked better. 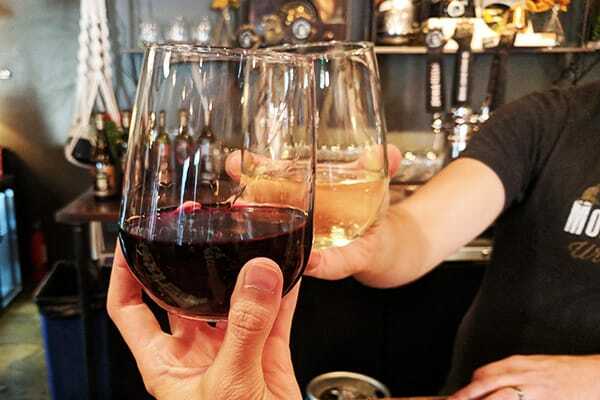 From flower petal manicures to champagne pedicures, there’s even a wine and beer bar to meet your libation desires. The furry throw pillows and stress-relieving massage chairs are just icing on the cake at this VIP nail salon, and they are happy to work with groups of any size. Calling ahead for reservations is recommended. Before you get too far into plotting your evening plans, better to know where you’ll be waking up the next day. 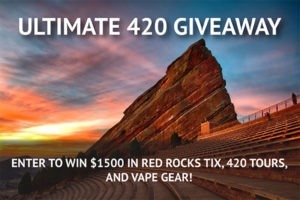 If your group is looking for more of a weed-friendly night on the town, My 420 Tours offers a definitively Rocky Mountain High experience with 420 friendly hotels. They have a range of hotel partners around the city and will provide you with a tabletop vaporizer for use at your convenience. You’re free to elevate in the privacy of your personal quarters and they even have tutorial videos to make sure you’re doing it right. If you’re looking for something a bit more homestyle, an Airbnb is another option. 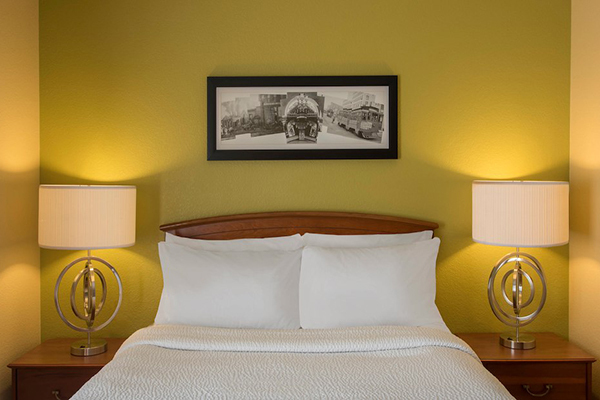 The site shares a wide variety of comfy locales all around the city from urban lofts to fully furnished mansions. 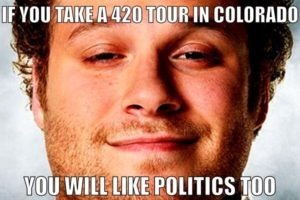 Make sure you read the fine print about large groups, cannabis consumption, and parties. Some places are particular about how you enjoy their space so always read the fine print always before booking. Before getting too blitzed downtown or sucked into a battle of beer pong at the Gaslamp, be a smart girl gang leader and take everyone to grab dinner first. Hangry women in heels is never good to mix with alcohol. Here are a few of the best spots in Denver for grabbing some chow with the gals on your girls night out. 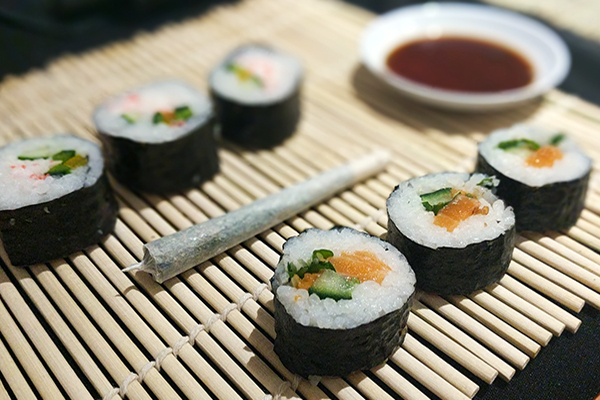 Spark up a new crafting skill while dining in Denver and this Sushi and Joint Rolling Class. Bring yourselves and a sense of culinary adventure to this mile-high evening of culture, cooking, and cannabis. 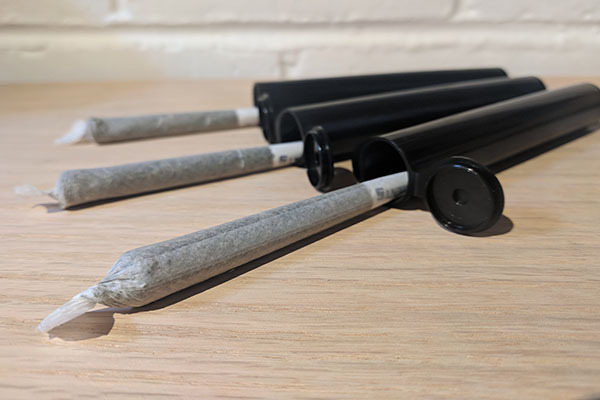 All levels of expertise are welcome as you’re guided through the how-to’s of rolling up sticky rice and even stickier bud. Get whisked away to another world with Adrift Tiki Bar where the decor makes you feel like you’ve snuck off to a locals bar on a luxurious tropical away. With a focus on beach-inspired hand-crafted cocktails, their menu of simple Polynesian fare comes with plenty of delectable small plates. Named one of the best bars in Denver, their shareable cocktails are worth checking out as well. If you’ve got a larger group, you can book ahead for easy seating. Not just looking for the same old sit-down dinner? Then head to Punch Bowl Social on Broadway. This massive restaurant boasts a huge bar and plenty of games to keep your dining experience exciting. From bowling to karaoke, Punch Bowl Social is known for its good times and delicious comfort food. They also take reservations. If making a collective decision is totally unsuccessful, take everyone to the Denver Central Market. This open-air arena of gourmet food has a plethora of eateries and you can even grab a cocktail while you peruse your food options. From artisan street tacos and fresh oysters to gourmet ice cream and chocolate truffles, Denver Central Market has an impressive variety of snacks and meal options. It’s sure to reel in even the foodiest of foodies you know, and is located in the heart of the booming RiNo Art District, known for its bevy of hipster-pleasing street art and pedestrian-friendly bars. Speaking of bars, let’s talk about the top stops for getting tipsy with your best gals on this amazing girls night out. A mile high above sea level, things can get a little crazy so wind up your evening slowly to make sure no one goes overboard too early. Hydrate every now and again and have fun! What better way to kick off the evening than with a wine-tasting tour? 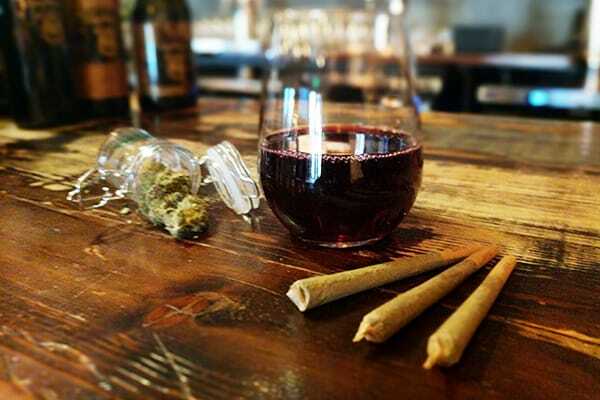 This Wine and Weed Tour is a fun way to get your girls night going and you even get in a little sightseeing. 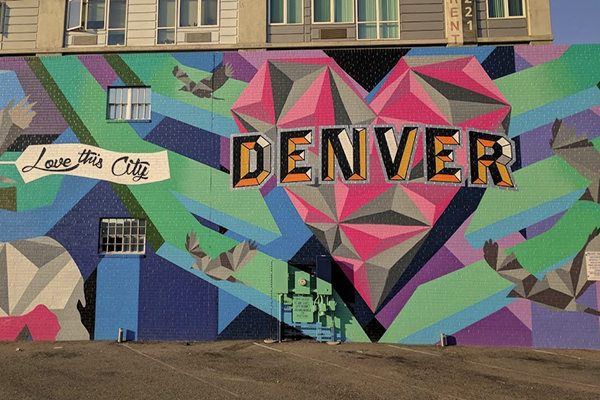 This walking tour takes you through one of the coolest and fastest growing neighborhoods in Denver, the RiNo Art District which is easily walkable and very popular on the weekends. Brewery tours aren’t just a guy thing anymore. If you’re the kind of girls that love beer, you definitely should be on a brewery and grow tour. 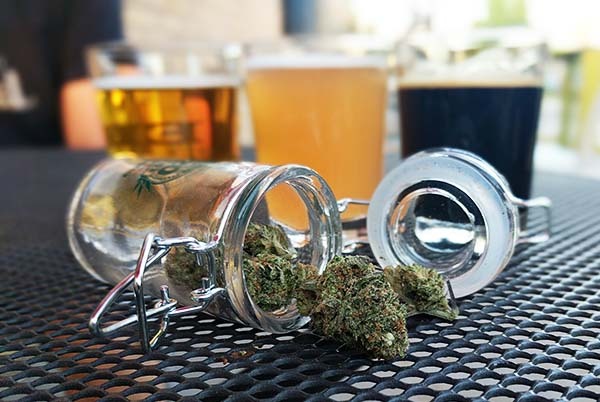 See the ins and outs of a cannabis grow and dispensary, then head to a brewery to learn all about Colorado’s other favorite trade. Nothing says Colorado like some delicious brews and a few tokes, so make sure you don’t miss out on this afternoon of buds and suds! If you’d rather be sipping a delicate martini glass, round up the gals and roll over to the retro vibes of the Cruise Room. Consistently named one of the best bars in the city, the art deco ambiance, red lighting, and classic martini menu will take you back in time with its casually elegant atmosphere. Sure to be a memorable spot, this marble masterpiece is located on the first floor of the historic Oxford Hotel, and was actually downtown Denver’s first bar, opening the day after prohibition was repealed in 1933. Check out any of Denver’s roaring speakeasy bars for a swinging good time. 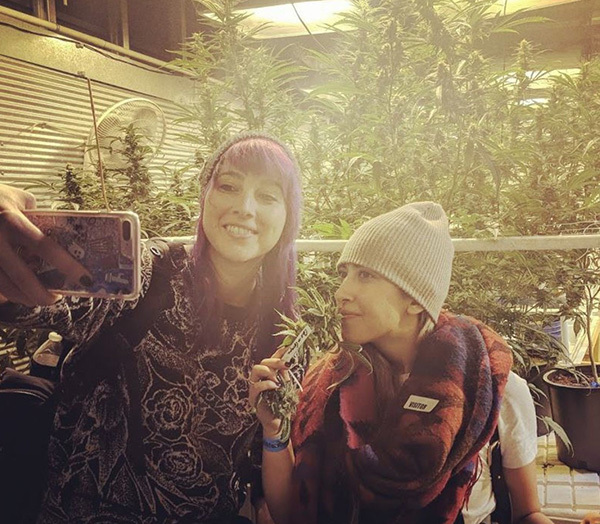 Take the crew for a little learning and laughter with a Marijuana Concentrates Tour, where you’ll learn the ins and outs of how cannabis concentrates like vape pen cartridges, live resin, wax, and shatter are made and why they are becoming so popular here in Colorado. 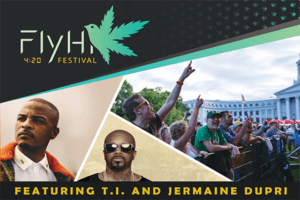 You’ll be chauffeured to and from the facility in a 420-friendly party bus for the ultimate in high style. 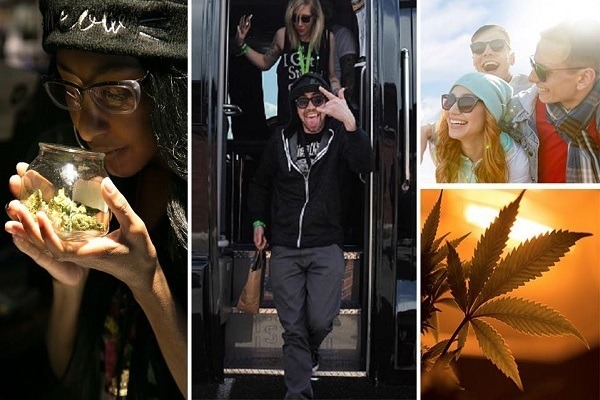 Learn things you never knew about weed and get your photo with some of Denver’s best pot tour guides. After flexing your brains and stretching your lungs, relax with some belly laughs at Comedy Works, one of the city’s best comedy clubs. While buzzing from the bud, you can appreciate local and national comedy acts and beverages even more. After getting some grub and a good buzz, it may be time to fire up those vocal cords. Voicebox in the RiNo district has karaoke suites you can rent for groups small and large. Choose your tune and burst into the hits with no holds barred. No one has to wait to belt out their best drunk version of T-Swift or Cardi B — just make a set list of your favorites and get the party started. Everyone can join in and make sure to take lots of videos of your friends for the post-night-out memories and social media blackmail. Ophelia’s Electric Soapbox is a former brothel turned gastropub and music venue. Dubbed Denver’s “gastro-brothel”, Ophelia’s always has something entertaining going on, whether they’re screening a campy cult-classic film or running one of the best happy hours in Denver. Plus, they even have live music nightly. Make sure you call ahead or reserve a table online if you’re looking for seating. This place gets packed on Friday and Saturday nights. Whether you’re planning your next Galentine’s Day getaway or just a girls night out, hitting up any of these Denver hot spots is ideal for a fabulously good time. Tick all the boxes of a night out on the town: chill relaxation, drinks, laughs, fun, games, sugar, spice, weed, and some quality female bonding. 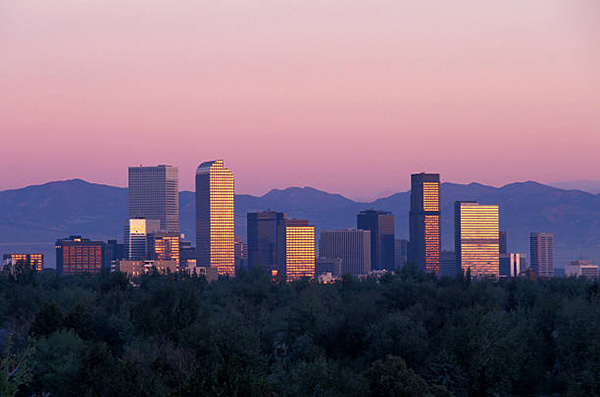 The Mile High City has everything you could want and is a top spot for any girls night out extravaganza.